In this innovative workshop, parenting expert Sarah Getoff offers specific skills to help parents solve the toughest behavioral problems. Learn why praise can be problematic and discover the drawbacks of logical consequences, time-outs, threats and rewards. You will gain skills to improve your child’s behavior and his or her self-esteem. You will also hear Sarah’s insightful answers to frequently asked questions. 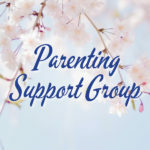 In her clear and conversational way, Sarah talks to parents about validating their children’s feelings and about the importance of offering choice to a child in many situations. She shares engaging anecdotes about her own daughter to demonstrate why praise and punishment don’t work. Sarah also gives suggestions on managing a range of situations. 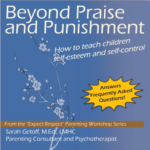 Beyond Praise and Punishment gives parents a new set of tools and a new language for working with their children on behavior. Sarah is supportive, strong, and she knows how to help. Give her a listen, and you’ll find you are eager to try out her techniques. Does your child refuse to cooperate, disrespect you or try to negotiate everything? Have chores, homework or bedtime become a battlefield? Are you tired of begging, bribing or berating your child? If you answered yes to any of these, then help is on the way! In this inspiring workshop you will discover how to teach children to first respect authority, later negotiate with authority and eventually assume their own, age-appropriate authority. You will gain concrete strategies to eliminate power struggles and increase cooperation. While offering a new set of skills for coping with misbehavior, Sarah talks about such things as modeling good behavior and the importance of establishing routine. She offers insightful parenting advice with a soothing demeanor, which makes the listener feel calm, hopeful and eager to try new parenting methods. Also incorporated in Beyond “Because I Said So” are questions from parents in the audience and Sarah’s responses. This dialogue offers another level of education on parenting as well as a broader range of circumstances in which the skills can be applied. Are your children constantly bickering, fighting and competing? Is your older child violent toward your younger one? Do you wish you didn’t have to intervene as often? If so, then this workshop is for you! This informative and entertaining workshop will provide you with the tools to help children solve their own conflicts peacefully. Imagine telling your children to solve their problem together, without hurting each other, and they actually do it! This CD will show you how. Sarah focuses on managing conflicts that children have, not only with their siblings but also with their friends. Sarah offers seven steps for teaching children how to resolve conflict, as well as three steps toward expecting your children to manage their own conflict. She counsels that solving childrens’ problems for them will not teach them how to solve their own problems. In addition to learning how to help their children, adults can also use the CD to help them understand how to improve their own relationships, where conflict is concerned. Listeners will also gain insight from this CD when Sarah takes questions from parents in the audience. 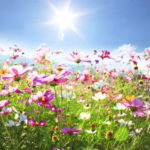 Sarah has 20 years of combined experience as a psychotherapist and educator in the Northampton area, and she began her practice as a parenting consultant in 2005. She works with clients of all ages to overcome depression, anxiety, grief, marital and parenting issues, and many other concerns. 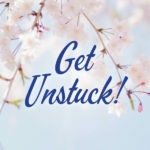 Her areas of specialty include parenting issues, couples counseling and Emotional Freedom Technique (EFT), a cutting-edge therapy that quickly and gently releases emotional pain associated with difficult memories or events. Sarah earned a master’s degree in Counseling Psychology from Springfield College and is a Licensed Mental Health Counselor. In her role as consultant, Sarah offers private consultations as well as workshops and staff trainings. Some of those sessions are available on CD, including topics such as: dealing with disrespect from children, improving children’s self-esteem, and teaching their children to resolve their own conflicts. Her CD’s offer another opportunity for parents to receive specific skills, compassionate support and a better understanding of what their children need in order to behave well. Sarah’s audience base has included educators, parents, professionals, senior citizens and students of all ages. She has presented, for instance, at statewide conferences for the Massachusetts Association for School Aged Children (MSAC) and at national conferences for the National Association for the Education of Young Children (NAEYC). Prior to her career as a psychotherapist, Sarah served as director and teacher at Capacidad, an anti-bias after-school program in Amherst, Mass. She has worked as an educator/advocate at the University of Massachusetts’ Everywoman’s Center in a program to end violence against women. Sarah has also led workshops with and for inmates of maximum security prisons. For more information, to set up an interview with Sarah or to request a CD to review, please call Sarah at (413) 586-3653.